Southland Snapshot: HAPPY THANKSGIVING! 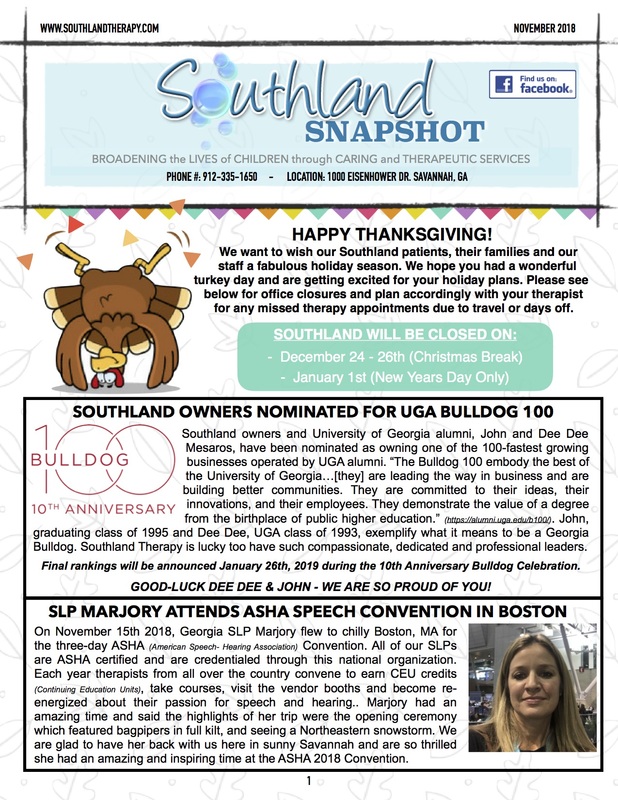 Bulldog 100, New SLP and ASHA Convention - Southland Therapy Services, Inc.
We want to wish our Southland patients, their families and our staff a fabulous holiday season. We hope you had a wonderful turkey day and are getting excited for your holiday plans. Please see below for office closures and plan accordingly with your therapist for any missed therapy appointments due to travel or days off. Southland owners and University of Georgia alumni, John and Dee Dee Mesaros, have been nominated as owning one of the 100-fastest growing businesses operated by UGA alumni. “The Bulldog 100 embody the best of the University of Georgia…[they] are leading the way in business and are building better communities. They are committed to their ideas, their innovations, and their employees. They demonstrate the value of a degree from the birthplace of public higher education.” (https://alumni.uga.edu/b100/). John, graduating class of 1995 and Dee Dee, UGA class of 1993, exemplify what it means to be a Georgia Bulldog. Southland Therapy is lucky too have such compassionate, dedicated and professional leaders. Final rankings will be announced January 26th, 2019 during the 10th Anniversary Bulldog Celebration. GOOD-LUCK DEE DEE & JOHN – WE ARE SO PROUD OF YOU! On November 15th 2018, Georgia SLP Marjory flew to chilly Boston, MA for the three-day ASHA (American Speech- Hearing Association) Convention. All of our SLPs are ASHA certified and are credentialed through this national organization. Each year therapists from all over the country convene at the convention. They earn CEU credits (Continuing Education Units), visit the vendor booths and become re- energized about their passion for speech and hearing. Marjory had an amazing time. She said the highlights of her trip included the opening ceremony which featured bagpipers in full kilt, and seeing a snowstorm. 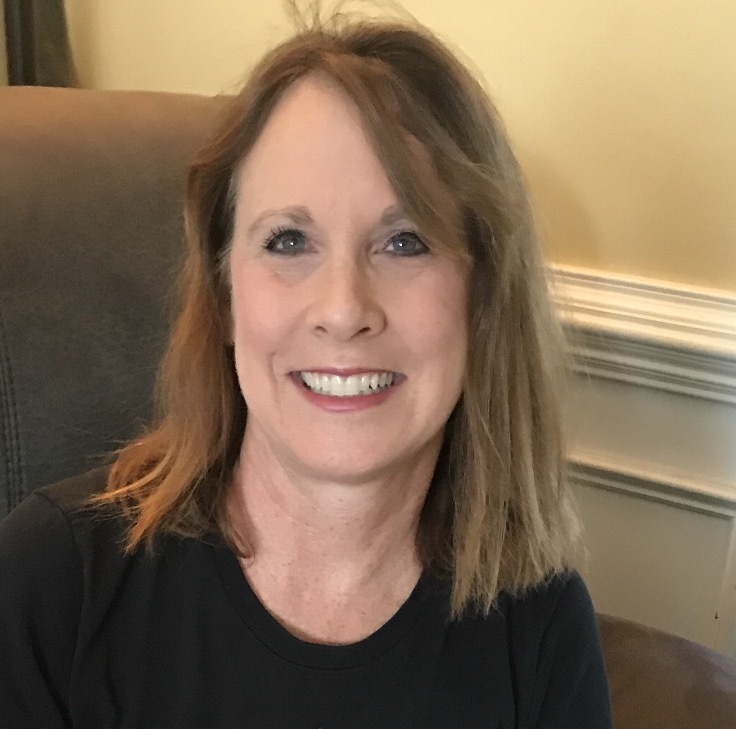 We are glad to have her back with us here in sunny Savannah and are so thrilled she had an amazing and inspiring time at the ASHA 2018 Convention. Shelley received her undergraduate and Master’s degrees from the University of Georgia (Go Dawgs!). She works at Southland in the afternoons and full-time in the Savannah-Chatham Public School System as a Speech Pathologist in the PSI Program. Her favorite part of the job is when the children make her laugh (which is every day!) Her second favorite part is seeing how proud the parents are when their children learn something new. Some of her favorite hobbies include hanging with her family, watching her daughter cheer, and watching the Georgia Bulldogs play. Her favorite dessert is raw cookie dough and says that it’s a risk she is willing to take. Shelley has a grown son and a daughter in high school. WELCOME TO THE SOUTHLAND TEAM SHELLEY! Georgia Southand SLP Shelley shares the importance of early invention and the ways it helps children throughout their years in school. In the state of Georgia, state programs such as Babies Can’t Wait provide early intervention services in the home or daycare from birth to 3 years old. After the age of three, a federal program called PSI helps children receive necessary treatment to ease them into the school system. Therapy provided through the PSI program is paid for through the school system. Services provided in clinics like Southland Pediatric Therapy, is paid for through insurance companies. This allows children to receive services through both programs. If your child gets therapy outside of Southland, please keep us informed. We would like to communicate with your child’s care team. Contact the PSI program to get started – 912.395.1294. If you have any questions, please speak to SLP Shelley – she is extremely knowledgable and willing to help! On Saturday, November 5th, Southland staff walked around Lake Mayer in Savannah in support of the GSU Rite Care Center. The Scottish Rite Care Center is located on the Armstrong Campus of GSU. The center provides Speech Therapy services for a minimal fee. Led by GSU Faculty and graduate students, the program proves to be a great resource for our community. It is also a wonderful learning opportunity for GSU graduate students. 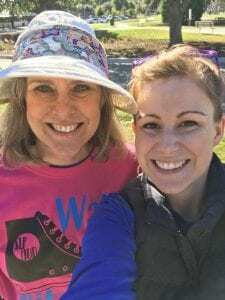 On the brisk Saturday morning, Outreach Coordinator Laura with her daughter, alongside SLP Cindy and GSU professors and students, walked around Lake Mayer. Surrounded by honking geese and fallen leaves, the beautiful fall weather didn’t disappoint.